When the spring months arrive in the state of Texas, you may find that your area receives heavy rainfall and other extreme weather conditions. By waterproofing your basement and scheduling foundation repair for your home, you can make sure that the lower levels of your home are protected from water damage during the spring season. A company that offers French drain installation in San Antonio will help you make sure that your property is ready to withstand heavy rain during the next few months. To highlight the importance of working with a reputable contractor, here is a look at some tips for protecting your foundation from water damage this spring. You may be surprised to learn that one of the best ways to protect your foundation from water damage this spring is to make sure that your gutters are clean. During the winter months, falling leaves and tree branches can easily clog up your gutters or the downspout extension from your gutter. If you neglect to clean out your gutters properly, rainwater can flood the sides of your foundation. 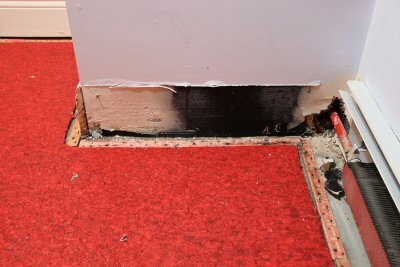 Improper drainage can cause major water damage to your home’s foundation. If your property does not slope gently away from the sides of your foundation walls, you could be at risk of experiencing major flooding. With drainage correction services, your contractor will carefully adjust the slope of your property and make sure that rainwater is able to naturally flow away from your foundation. After your drainage correction services are completed, you can rest assured that your foundation is protected from damage.